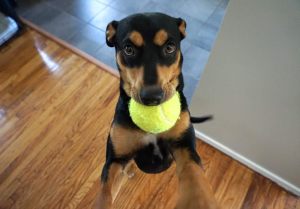 This is Dakota, a 1 year old Doberman/Hound mix new to the Ambler area. 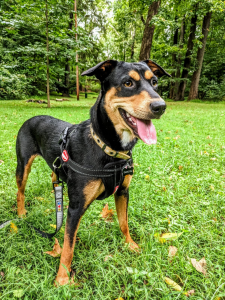 Dakota was living in South Carolina for the first year of her life, until she was chosen by Home at Last Rescue to start a new (and much better!) life in Pennsylvania. She moved to PA and quickly adapted to her loving foster family – and especially their dog, Prince, who Dakota still has a MAJOR crush on. She was adopted in August by Aishling and Mike and was even able to stay in the Haywood Park neighborhood, moving just a few streets away. 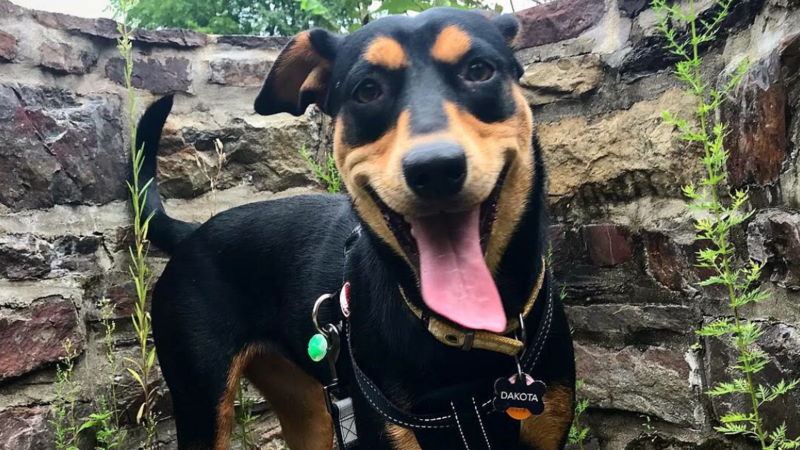 Dakota loves the outdoors – whether it’s walking down Butler Ave, exploring the Wissahickon Watershed, or running into Prince when she’s out in the neighborhood. Dakota had a rough start but is loving her new life Around Ambler.